Origin Northern parts of North America, Europe and Asia. Shapes Rounded, smooth, fleshy or mealy, berry-like fruits about 1/4 to 1/2 inch in diameter that resembles a tiny apple. Arctostaphylos uva-ursi also known as Bearberry, Arberry, Arbutus, Bear’s Berry, Bear’s Grape, Carillo, Chipmunk’s Apples, Coralillo, Crowberry, Foxberry, Hogberry, Kinnikinnick, Manzanita, Mealberry, Mountain Box, Mountain Cranberry, Mountain Tobacco, Pinemat Manzanita, Red Bearberry, Rockberry, Sandberry, Sagackhomi, Sagakomi, Upland Cranberry, Uva-Ursi, Whortleberry, is an extremely winter hardy, creeping, slow-growing, prostrate, woody evergreen shrub that typically grows to 2 to 8 inches in height and few meters in length. It is a circumpolar ground-hugger native to the northern part of North America, Europe and Asia. In North America, it is typically found in a variety of locations from Alaska to Newfoundland south through Canada to Virginia, Illinois, South Dakota, New Mexico and central California in a variety of habitats. It is primarily confined to cool alpine regions in the more southern parts of its growing range. Genus name comes from the Greek words arctos meaning bear and staphyle meaning bunch of grapes in reference to the fruits (often in grape-like clusters) which are commonly eaten by bears. 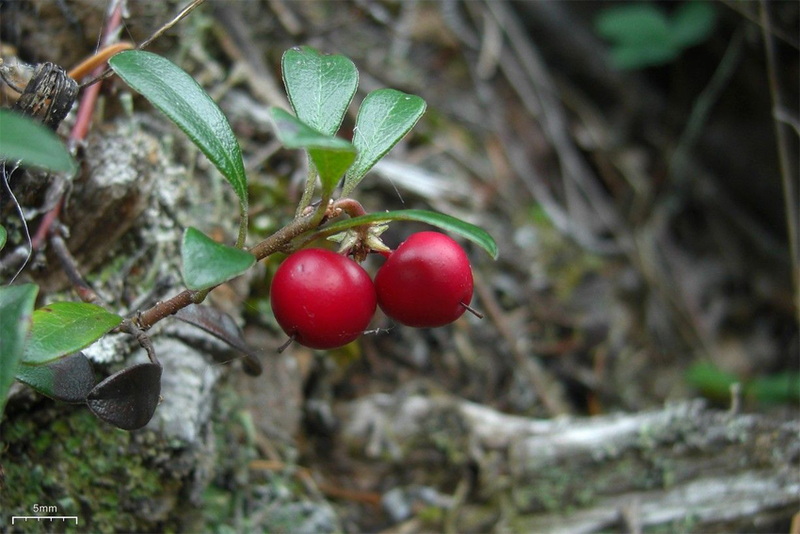 Bearberry (Uva ursi) is an extremely winter hardy, creeping, slow-growing, prostrate, woody evergreen groundcover shrub and flourishes in alpine forests in many regions, including North America, Europe, the Iberian Peninsula, Siberia, and the Himalayas. It grows gradually but succeeds in places where other plants cannot, such as the walls of canyons. Mostly it prefers grassland, mountain summits and plateaus, ridges or ledges, sand plains and barrens and requires an acidic, dry to medium, well-drained, sandy or gritty soils. Stem is creeping and is covered with papery bark with silky hairs. Finely textured velvety branches are initially white to pale green, becoming smooth and red-brown with maturity. Leaves are of a leathery texture, from 1/2 inch to an inch long, like a spatula in form, being rounded at the apex and tapering gradually towards the base to a very short stalk or petiole. The margin is entire and slightly rolled back and the young leaves fringed with short hairs. Upper surface of the leaf is dark, shining green, the veins deeply impressed, the lower side is of a paler green, with the veins prominent and forming a coarse network. The leaves have no distinctive odor, but they have a very astringent and somewhat bitter taste. 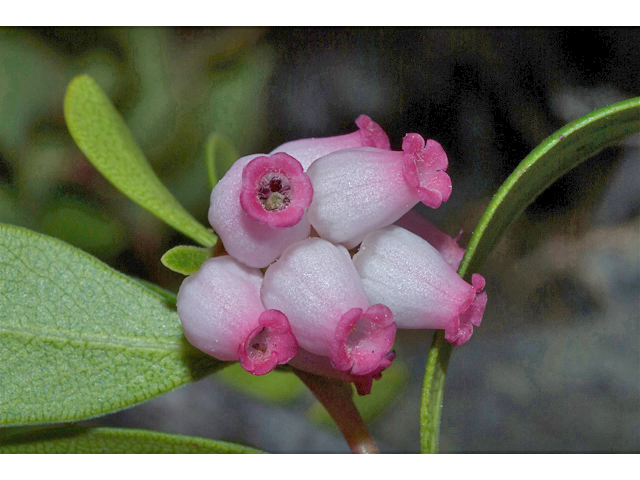 Bearberry produces pale pink or white flowers arranged in terminal clusters composed of 3 to 15 flowers. Individual flowers are bell-shaped, composed of petals that are curled on the tips. Flowers contain both types of reproductive organs (bisexual) and bloom in April to May. Fruit of bearberry is red, berry-like drupe. 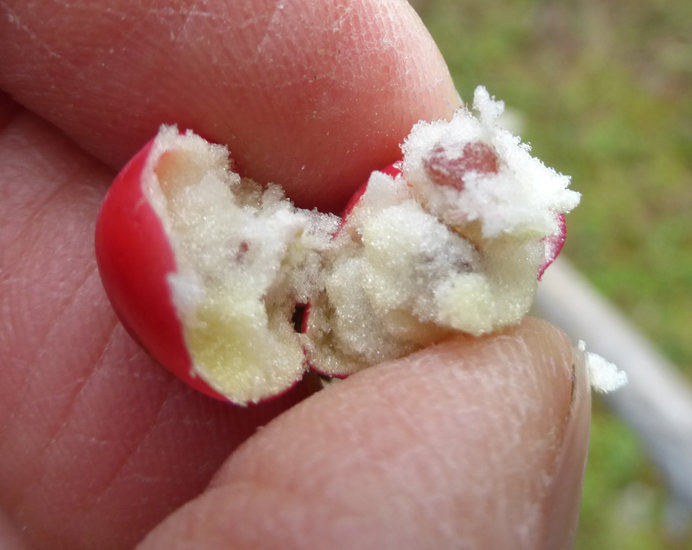 Fruit is fleshy and filled with 1 to 5 stony seed. Drupes are green in summer ripening to red in fall, sometimes remaining on the plants throughout winter. Drupes are bittersweet raw off the plant, but sweeter when first boiled. Bears are said to be fond of the shiny, bright red or pink fruit, which is edible but tastes sour. Fruits are technically edible for humans, but are generally considered to be mealy and lacking flavor. On the plus side, bears, birds and small mammals love the fruits. 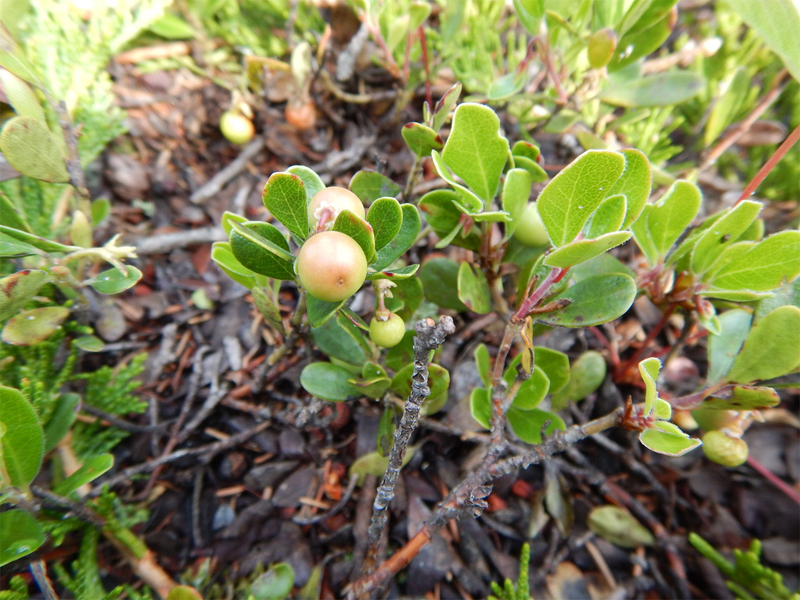 Bearberry fruit is edible and is occasionally used as food, the leaves of the plant are extensively used for medicinal purposes by herbal practitioners. Go through this post to know more about the health and benefits of bearberries. Some of the active components of bearberry have been directly related to avoid miscarriages and ensuring the safety of the mother during the pregnancy. Additionally, after the baby is delivered, there is often a major pain and inflammation. Consuming bearberries has been traditionally used to promote a healthy recovery of the mother and to eliminate some of the pain and discomfort. 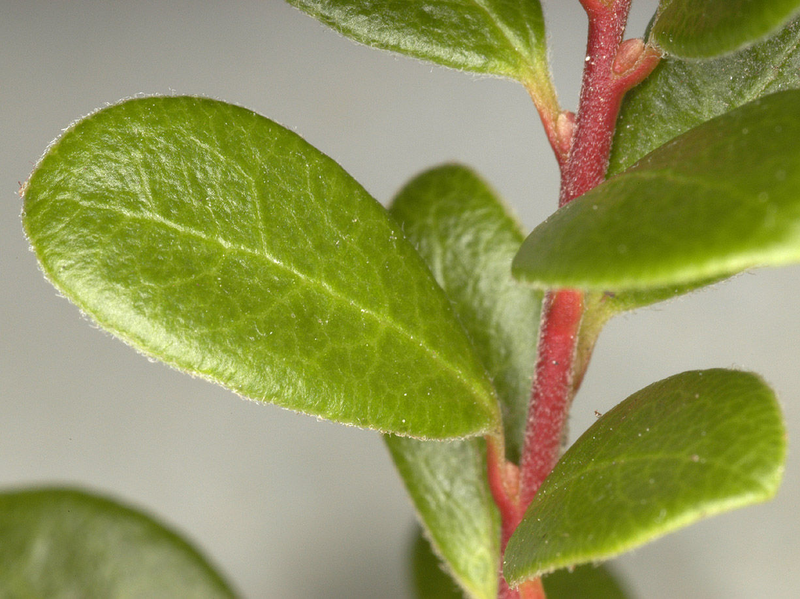 Bearberry is quite effective in preventing the formation of kidney stones. Regular use of this herb helps to soften the kidney stones which further helps in breaking down the large stones into small parts. As the size of the stones reduces, it becomes easier for them to pass through the urine. Apart from that Bearberry has natural diuretic properties, which increases urination and helps in flushing out the stones. 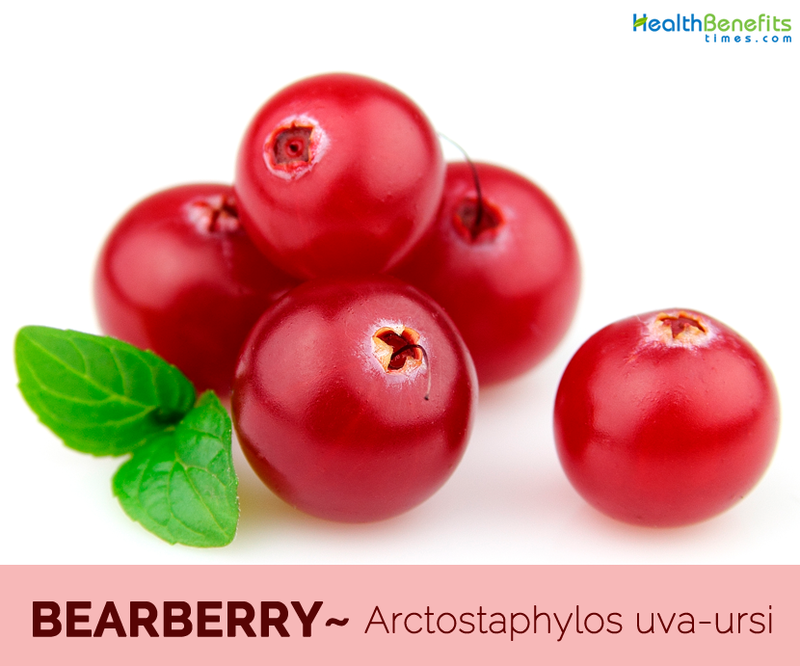 Bearberry is considered to be one of the best medications for dealing with infections in the urinary tract. It contains chemicals such as hydroquinone and hydroquinone derivatives, which are useful for treating infections like urethritis (inflammation of the urethra), cystitis (inflammation of the urinary bladder) and nephritis (inflammation of the kidneys). Bearberry has diuretic effects which help in encouraging more urine flow, thus decreasing water retention and bloating in the body. This property makes bearberry beneficial for those who are trying to lose weight. Higher amount of tannin present in Bearberries are great for the treatment of diarrhea. In fact, this fruit is well-known for being highly effective in treating problems that are related with the digestive tract. Since it is rich in tannins, it has powerful astringent properties which in turn are useful for problems that affect this part of the body. Bearberry is also quite beneficial for people suffering from arthritis. If you apply this calcium and Omega rich extract on aching arthritic joints, it will ease the discomfort and strengthen your joints as well. 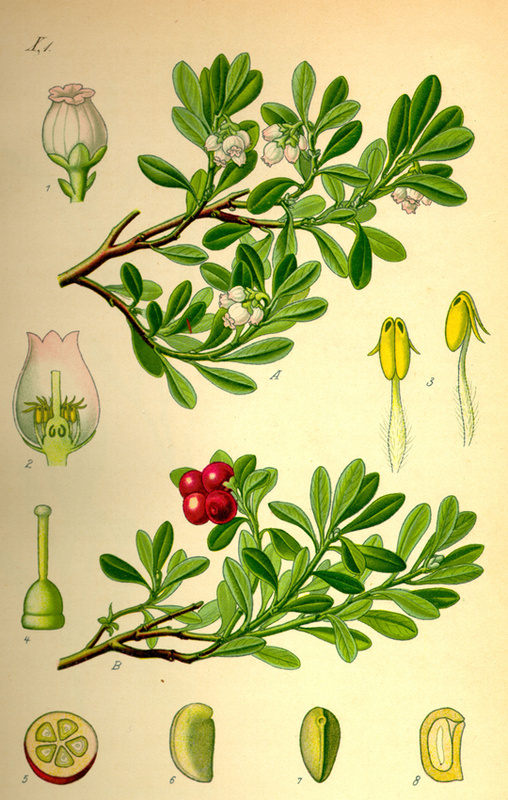 Bearberry was first documented in The Physicians of Myddfai, a 13th-century Welsh herbal. It was also described by Clusius in 1601, and recommended for medicinal use in 1763 by Gerhard and others. Often called uva-ursi, from the Latin uva, “grape, berry of the vine”, ursi, “bear”, i.e. “bear’s grape”. It first appeared in the London Pharmacopoeia in 1788. But now it is grown throughout the world because of its wonderful appearance and delightful taste. It is a procumbent shrub 10–30 cm high (3.9–11.8 in). Leaves are not winter green, but dead leaves persist on stems for several years. Berries are dark purple to black. 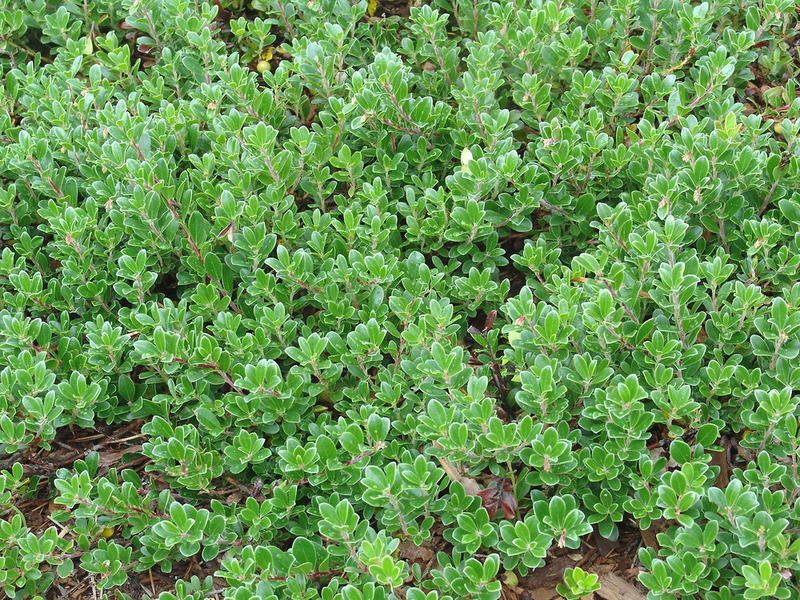 It is a procumbent shrub 10–30 cm high (3.9–11.8 in). Leaves are deciduous, falling in autumn to leave bare stems. Berries are red. Distribution: in the mountains of Sichuan, southwestern China north and east to eastern Siberia, Alaska and northern Canada east to northern Quebec. 3. 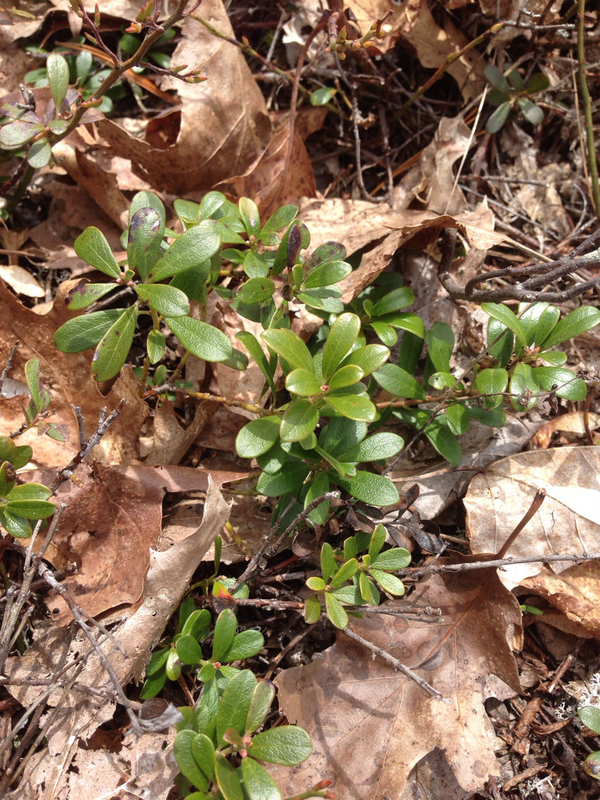 Common bearberry: It is a slow-growing, woody evergreen shrub 2 to 8 inches in height. Leaves are of a leathery texture, from 1/2 inch to an inch long, like a spatula in form, being rounded at the apex. It is considered one of the best natural urinary antiseptics. Leaves contain hydroquinones and are strongly antibacterial, especially against certain organisms associated with urinary infection. 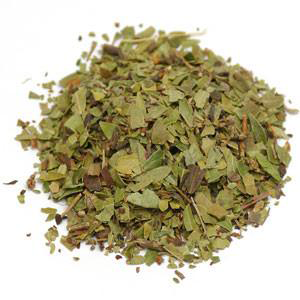 Dried leaves are used in the treatment of a variety of complaints. Tea made from the dried leaves is much used for kidney and bladder complaints and inflammations of the urinary tract such as acute and chronic cystitis and urethritis, but it should be used with caution and preferably only under the supervision of a qualified practitioner. Tea is more effective if the urine is alkaline, thus it is best used in combination with a vegetable-based diet. Externally, poultice of the infused leaves with oil has been used as a salve to treat rashes, skin sores etc., and as a wash for a baby’s head. An infusion of the leaves is used as eyewash, a mouthwash for cankers and sore gums and as a poultice for back pains, rheumatism, burns etc. Leaves were smoked to treat headaches and also as a narcotic. North American Indian tribes used an infusion of the stems, combined with blueberry stems to prevent miscarriage without causing harm to the baby, and to speed a woman’s recovery after the birth. It strengthens the heart muscle and urinary tract and help to return the womb to its normal size after childbirth. 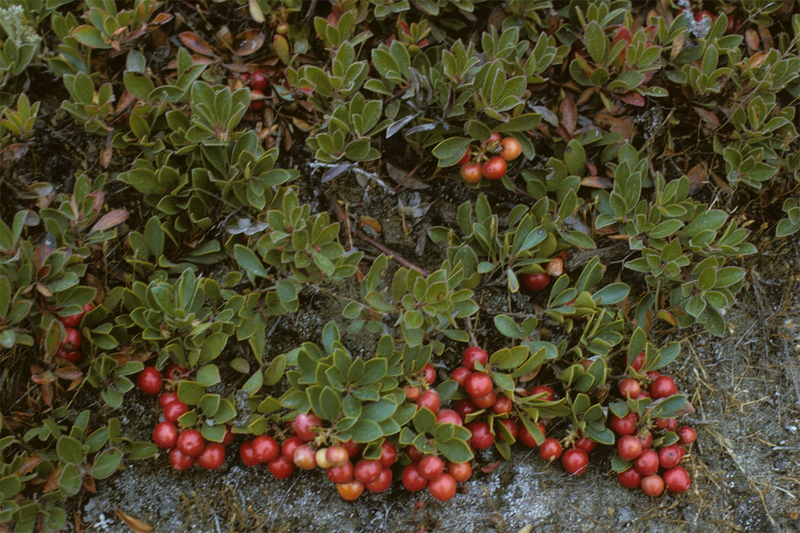 Bearberry, when combined with dandelion root and leaf, helped prevent recurrent UTIs. Tea made of tree bark is used to accelerate recovery after the childbirth. Tea made from the roots can be drunk to treat a persistent cough. 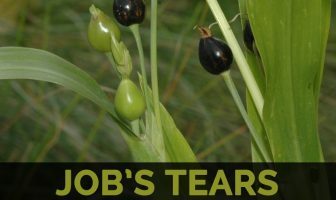 Leaves are also used traditionally to treat pain in kidney. It becomes sweeter when cooked. Added to stews etc., it is a good source of carbohydrates. Fruit can also be used to make a cooling drink or used for preserves etc. It can be dried and stored for later use. Tea is made from the dried leaves. Bearberries can be used in human diet for the preparation of jellies, jams and sauces. Dried leaves have been used for smoking as an alternative to tobacco. Yellowish-brown dye is obtained from the leaves. 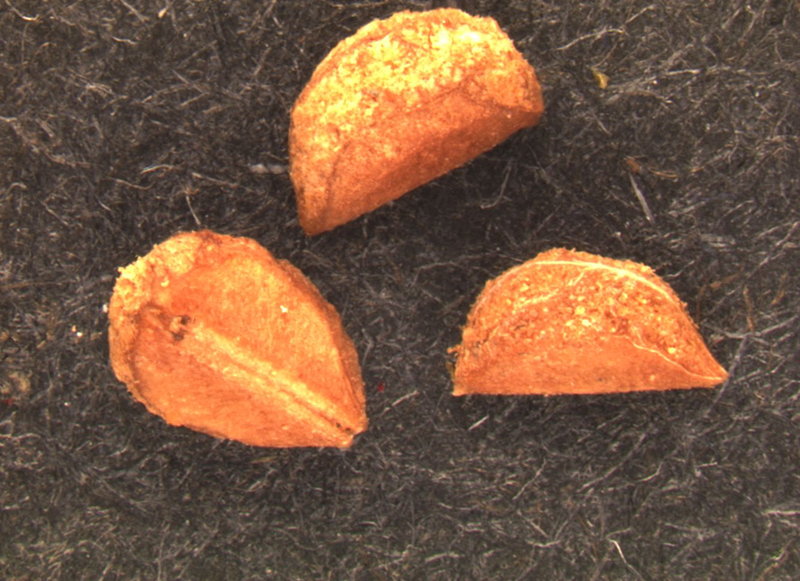 Grey-brown dye is obtained from the fruit. Dried fruits are used in rattles and as beads on necklaces etc. Leaves are a good source of tannin. Mashed berries can be rubbed on the insides of coiled cedar root baskets in order to waterproof them. It is a good ground-cover for steep sandy banks in a sunny position or in light shade. A carpeting plant, growing fairly fast and carpeting as it spreads. It is valuable for checking soil erosion on watersheds. This is also a pioneer plant in the wild, often being the first plant to colonize burnt-over areas, especially on poor soils. Plant helps to control soil erosion on slopes and hillsides. You should only take bearberry for short periods, no longer than 5 days, under a health care provider’s supervision. You should not take a series of doses of bearberry more than 5 times in 1 year. Women who are pregnant or breastfeeding, and people with high blood pressure, should not take bearberry. People who have Crohn disease, digestive problems, kidney or liver disease, or ulcers should not take bearberry. It is relatively safe, when consumed in large doses may cause nausea, green urine, bluish-grey skin, vomiting, fever, chills, severe back pain, ringing in the ears. It can reduce the effectiveness of digestive enzymes. Do not take iron along with the herb. It may worsen gastro esophageal reflux disease. Longer duration use can cause chronic liver impairment. Do not use if suffering from kidney or liver disorders. Do not take in chronic kidney diseases, peptic ulcers, and duodenal ulcers. Its use is not recommended in children and adolescents under 18 years of age. Plant Size 2 to 8 inches in height and few meters in length. Branches Finely textured velvety branches are initially white to pale green, becoming smooth and red-brown with maturity. Stem Stem is creeping and is covered with papery bark with silky hairs. Leaf Simple leaves of this broadleaf evergreen are alternately arranged on branches. Each leaf is held by a twisted leaf stalk, vertically. The leathery dark green leaves are an inch long and have rounded tips tapering back to the base. In fall, the leaves begin changing from a dark green to a reddish-green to purple. Flower Pale pink or white flowers arranged in terminal clusters composed of 3 to 15 flowers. Individual flowers are bell-shaped, composed of petals that are curled on the tips. Flowers contain both types of reproductive organs (bisexual). Fruit Shape & Size Rounded, smooth, fleshy or mealy, berry-like fruits about 1/4 to 1/2 inch in diameter that resembles a tiny apple. Arctostaphylos uva-ursi var. adenotricha Fernald & J.F.Macbr. Arctostaphylos uva-ursi var. coactilis Fernald & J.F.Macbr. 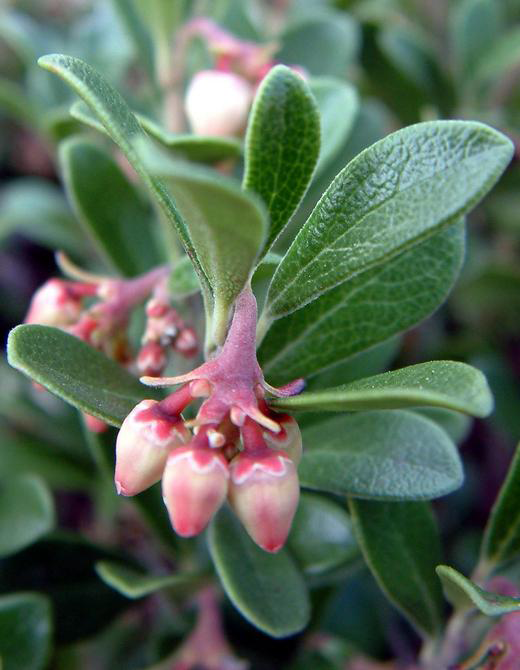 Arctostaphylos uva-ursi var. fendleriana (Klotzsch) Eastw.